Welcome to the Magnum Enterprises online store. 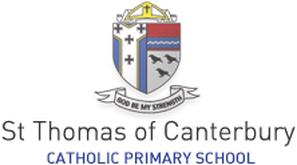 We have partnered with St. Thomas of Canterbury Catholic Primary School to offer this year’s uniforms online. Please check our product collection for either boys or girls. If you have any questions please get in touch at: info@magnumenterprises.co.uk or by calling our head office at: +44(0)1483 200 777. Please allow 10 days for the delivery of your products.